1993 - 1998 SUPRA TWIN TURBO L6 3.0 T 2JZ-GTE GAS For Factory Automatic Cars ONLY! C&C Motorsports has for years been building the Toyota A340E Transmissions a little bit under the radar supplying more grassroots/local racers. Early 2016 we were contacted to help in their efforts to become a more household name in the Supra community. With various cars making 700+rwhp without failure you can rest assured you are getting a quality product, backed with great support and a WARRANTY to top it off(must follow all guidelines for setup/running product)! 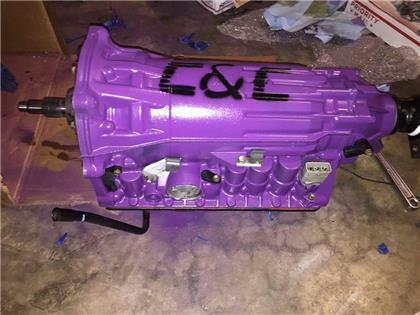 MVP’s very own Robert Del Angel has this exact transmission installed in his GTE Single Turbo GS300 with AMAZING results. !!!!! !BILLET 2ND GEAR SPRAG IS IN PRODUCTION, PRICING SHOW IS WITHOUT THIS UPGRADE. THESE TRANSMISSIONS HAVE HELD UPWARDS OF 920RWHP WITHOUT THIS!!!!! !